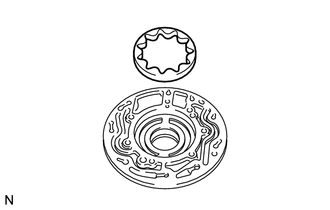 (a) Using a "TORX" wrench (T30), remove the 16 bolts and stator shaft assembly from the oil pump body. Keep the gears in the order of disassembly. 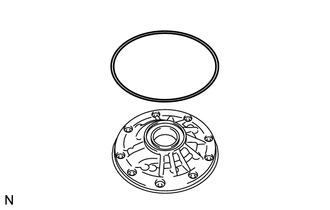 (a) Remove the O-ring from the oil pump body. 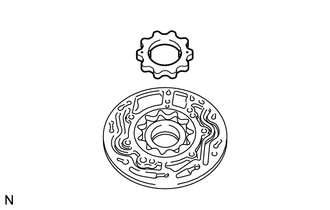 (a) Remove the front oil pump drive gear from the oil pump body. 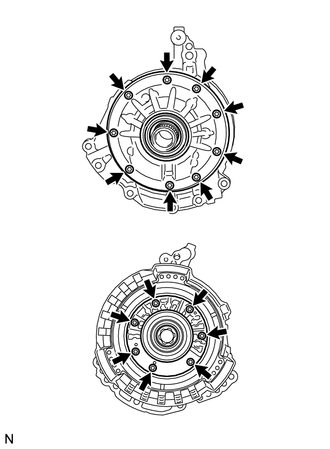 (a) Remove the front oil pump driven gear from the oil pump body. (a) Mount the oil pump in a soft jaw vise. 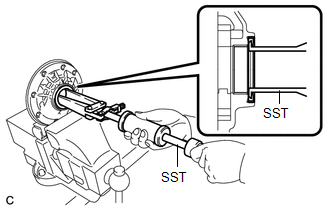 (b) Using SST, remove the oil seal from the oil pump body.